Adventurist Jim Wickwire, an eyewitness to glory and terror above 20,000 feet, has braved bitter cold, blinding storms, and avalanches to become what the Los Angeles Times calls "one of America's most extraordinary and accomplished high-altitude mountaineers." Although his incredible exploits have inspired a feature on 60 Minutes and a full-length film, he hasn't told his remarkable story in his own words -- until now. Among the world's most fearless climbers, Jim Wickwire has traveled the globe in search of fresh challenges. He was one of the first two Americans to reach the summit of K2, the world's second highest peak, the toughest and most dangerous to climb. But with the triumphs came tragedies that haunt him still. During several difficult climbs, he was forced to look on helplessly as four of his climbing companions lost their lives. A successful Seattle attorney, Wickwire climbed his first mountain in 1960. Deeply compelled by the thrill of risk, he pushed himself to the limits of physical and mental endurance for thirty-five years, before facing a turning point that threatened his faith in himself and his hope in the future. How he reassessed his priorities and rededicated his life -- to his family and his community -- completes a unique and moving portrait of one man's courage and commitment. Addicted To Danger is a tale of adventure in its truest sense. Seattle Post Intelligencer Fascinating and searing. New York Post A gripping tale. Details This book takes you along for a terrifying rush that is life lived on the highest of edges. Mountaineer Ed Viesturs This is a book that should be read by everyone who's ever dreamed of climbing. 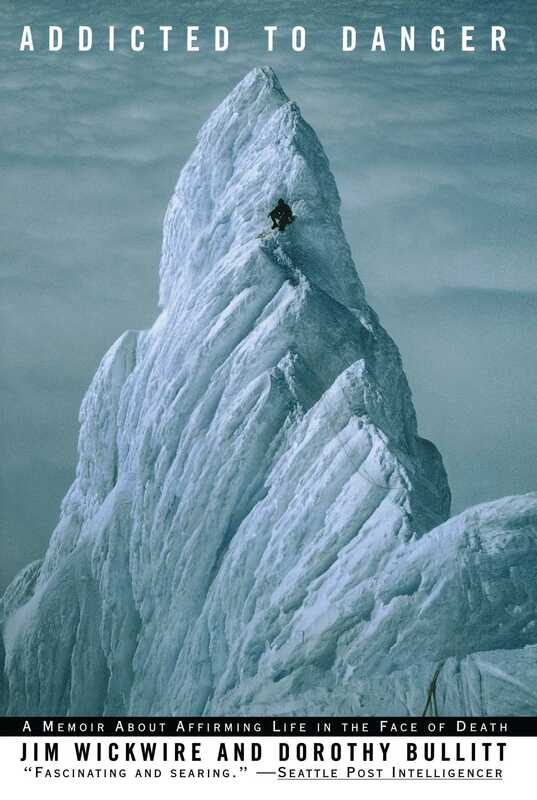 John Balzar Los Angeles Times The day someone can answer "why climb?" is the day men and women won't have to. Until then, many will follow in the bootsteps of Jim Wickwire, one of America's most extraordinary and accomplished high-altitude mountaineers. Publishers Weekly Well worth a read....Even those not absorbed by this sport will find themselves affected by the author's tales of friends lost on expeditions.